Several GM models have earned distinctions for front end safety. According to a recent report from the Insurance Institute for Highway Safety (IIHS), General Motors has earned half of all the institute’s superior ratings for front crash prevention. 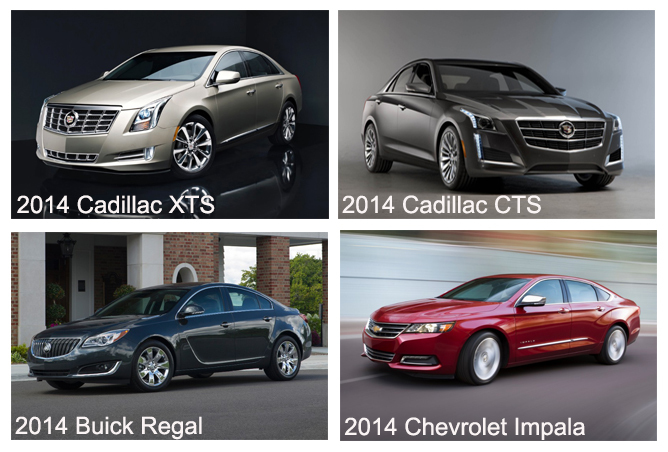 In total, four GM models out of eight automobiles picked up the distinction: the Buick Regal, the Cadillac CTS, the Cadillac XTS, and the Chevrolet Impala, when they are equipped with the Front Automatic Braking system. “We applaud GM’s commitment to making this important safety technology available not only on their luxury Cadillac products, but also on their more mainstream Chevrolet and Buick vehicles,” said IIHS Chief Research Officer, David Zuby. GM is no stranger to recognition from IIHS for front end safety, or all over safety. The 2014 Chevy Equinox, GMC Terrain, and Chevy Malibu (when equipped with Forward Collision Alert) all earned IIHS’s highest rating: Top Safety Pick+. The Equinox and Terrain are the only midsize SUVs that have received “Good” ratings in the small overlap front crash test. Both the Front Automatic Braking system and Forward Collision Alert have played leading roles in ensuring front end safety for GM vehicles, but GM engineers believe that there is even more to be done to ensure complete safety on the road.